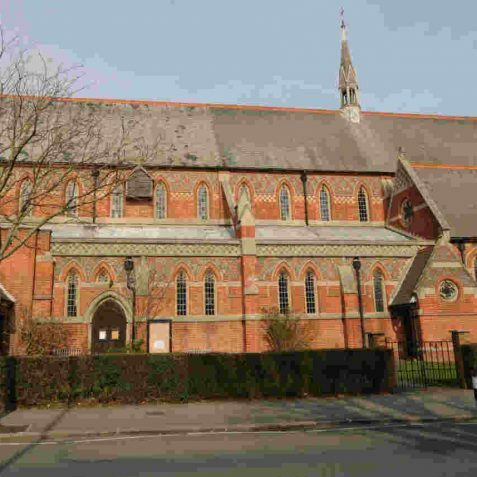 St Philip’s is a red brick Victorian church designed by the architect J. Oldrid Scott. 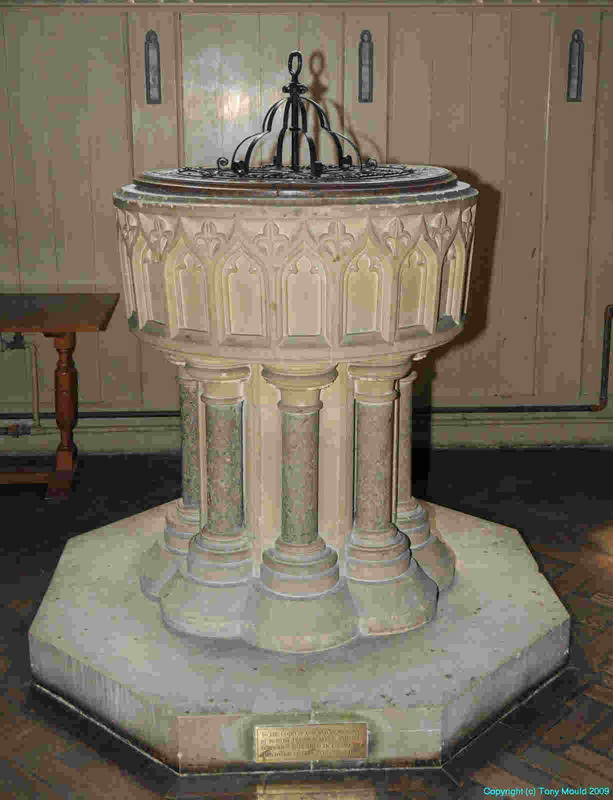 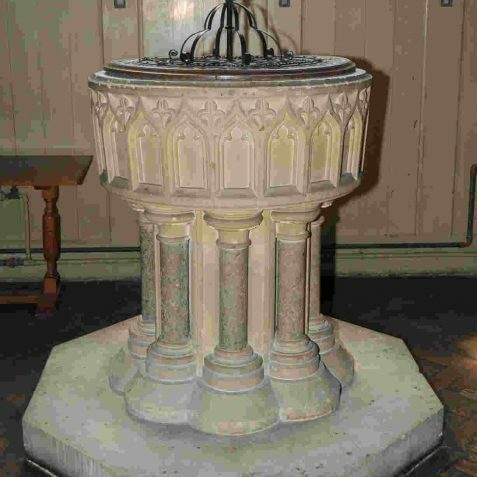 It was built on land donated to the parish by The Duke of Portland. 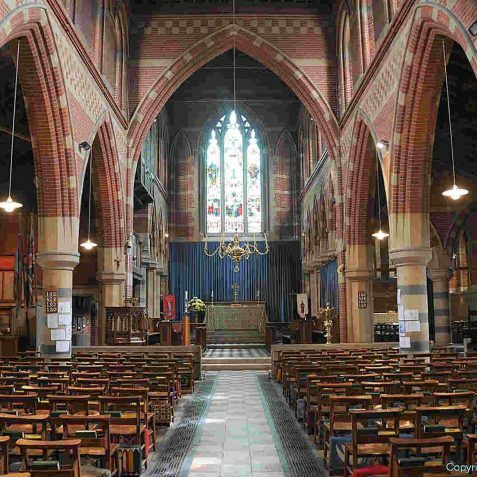 The foundation stone was laid on the 9th November 1894 by Bishop Dumford. 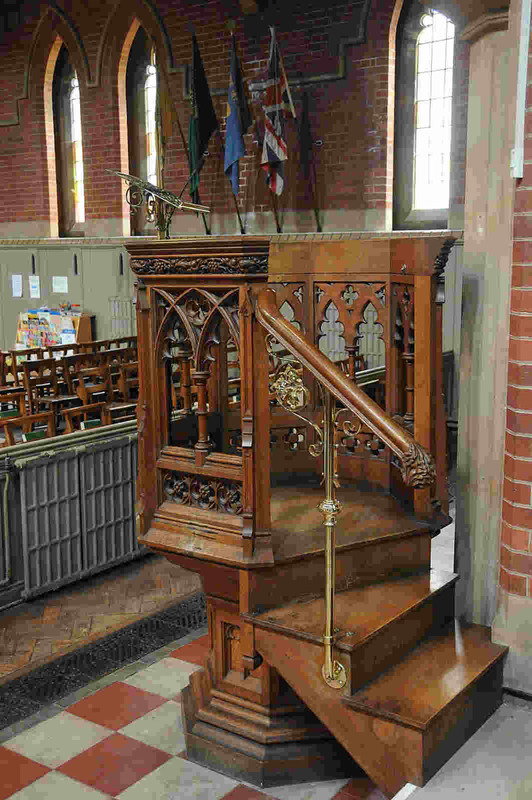 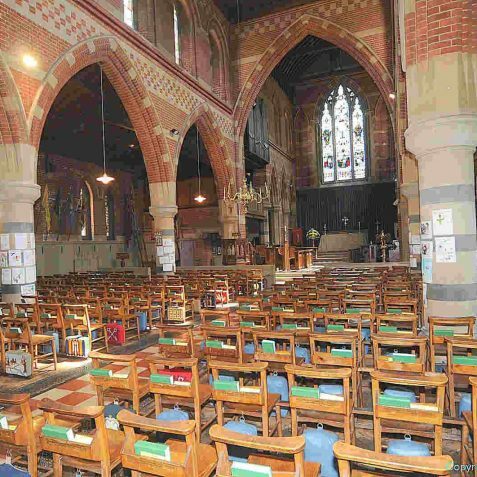 The church opened for Divine Service on 28th October 1895 when the chancel, chapel, south porch and two eastern bays of the nave had been built. 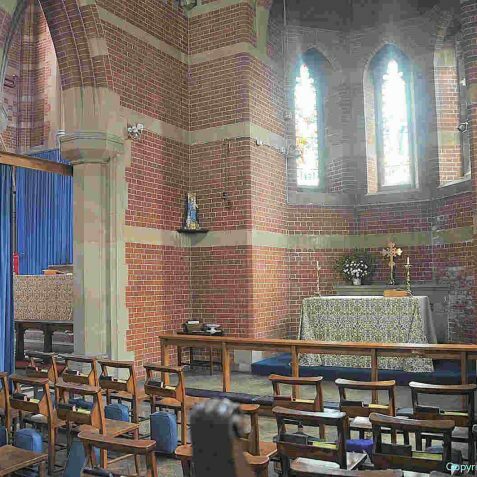 Work continued until about 1910 when this imposing edifice of Bath stone and brick was completed. 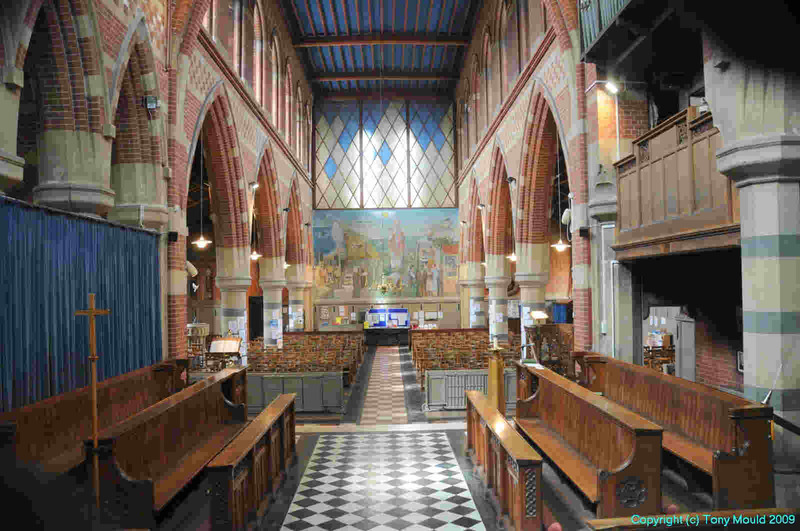 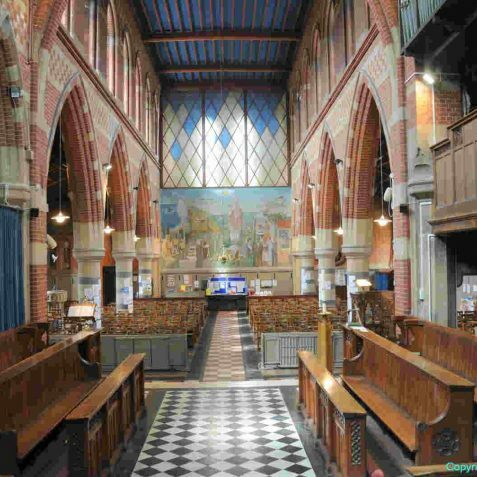 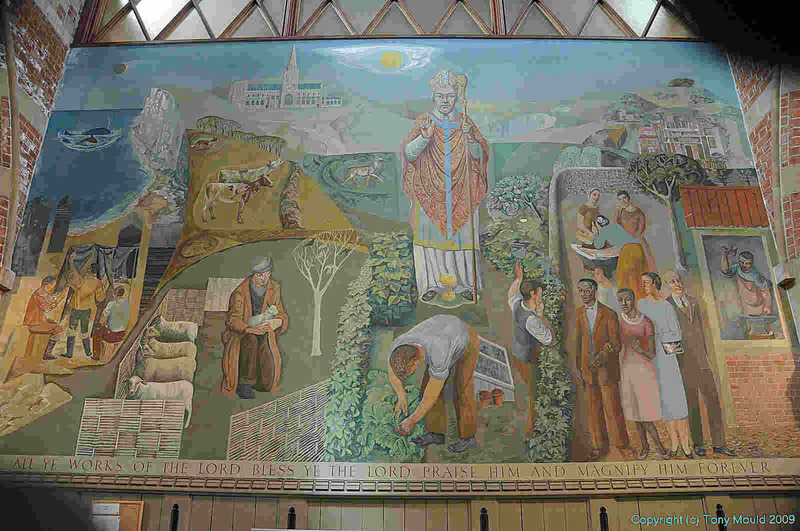 An interesting feature at St Philips is a large mural painted by Augustus Lunn; its title is ‘The Sussex Benedicite’. 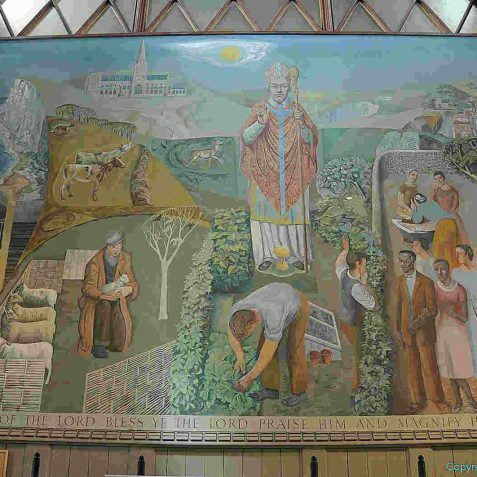 It was painted in 1957 and depicts the Sussex countryside with references to St Richard, patron saint of Sussex, country churches, fishing, sheep farming, market gardening and forestry. 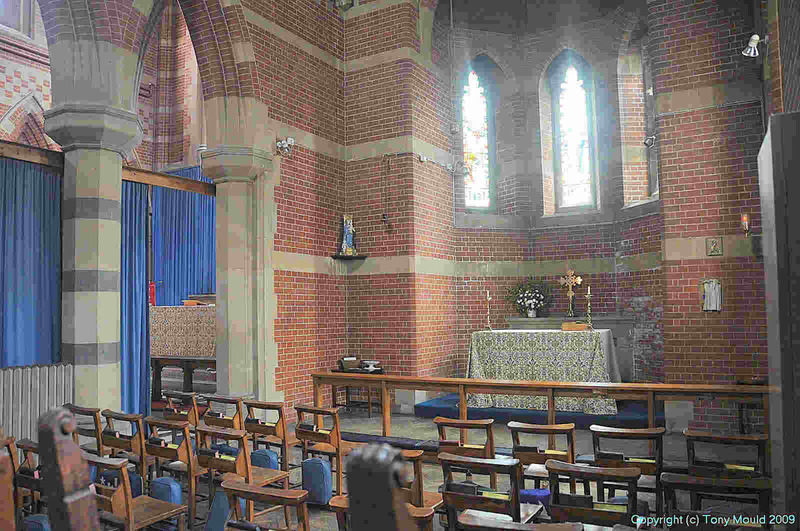 When St Philip’s was consecrated as an Anglican church, there were only about thirty people living in the new parish. 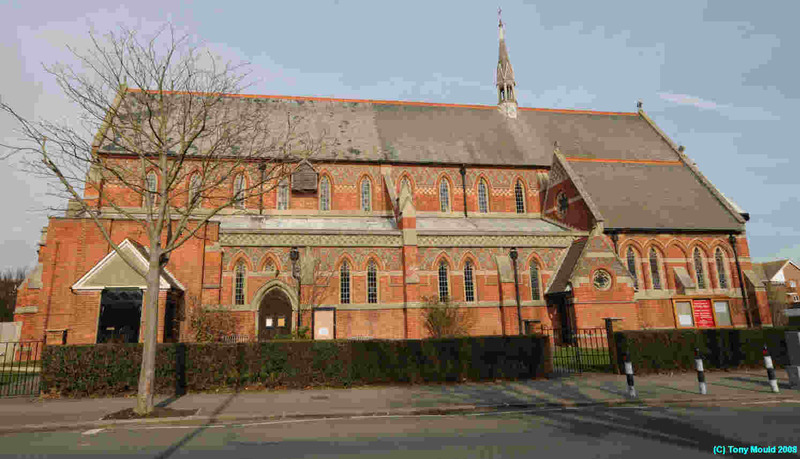 New Church Road and its surrounding streets were at the time, merely building plots. 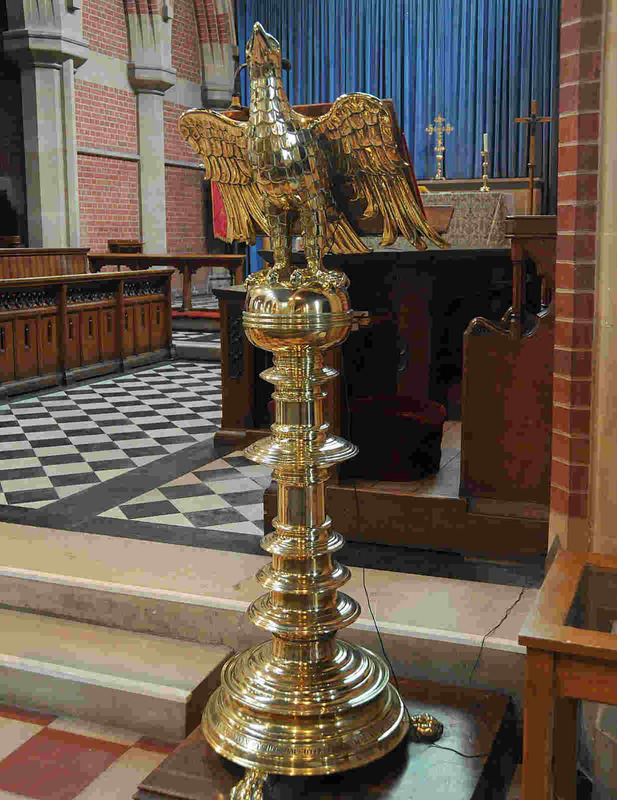 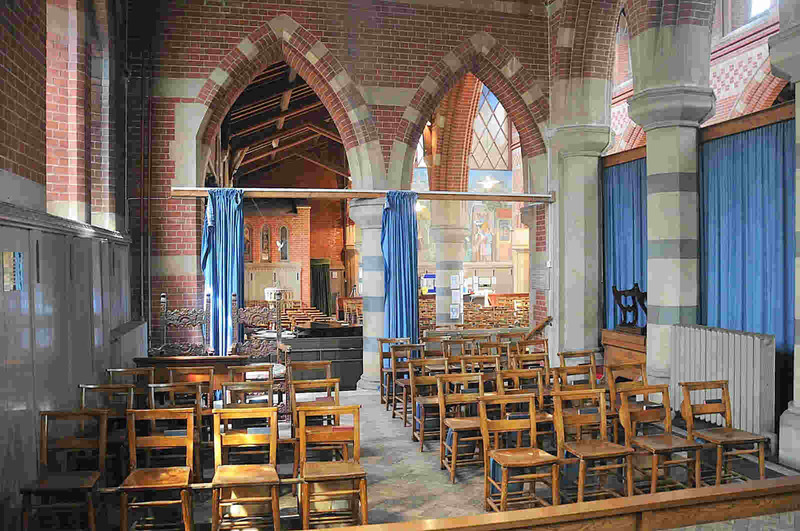 St Philip’s today is at the centre of a busy parish and has been totally refurbished and has access and facilities for the disabled. 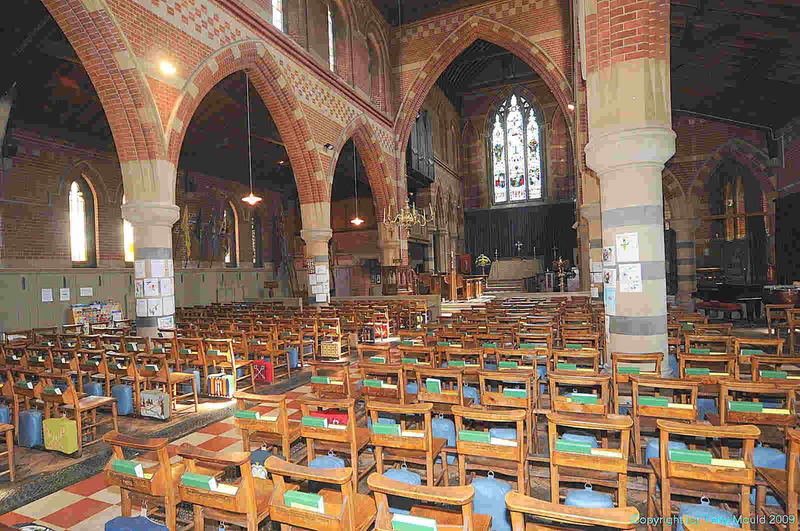 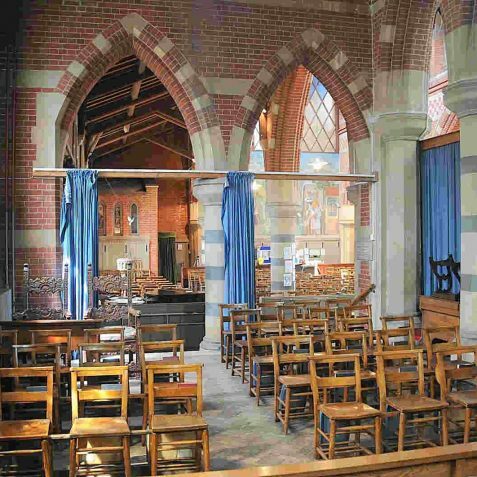 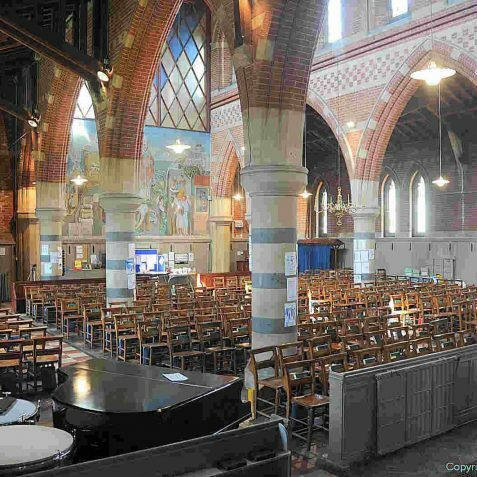 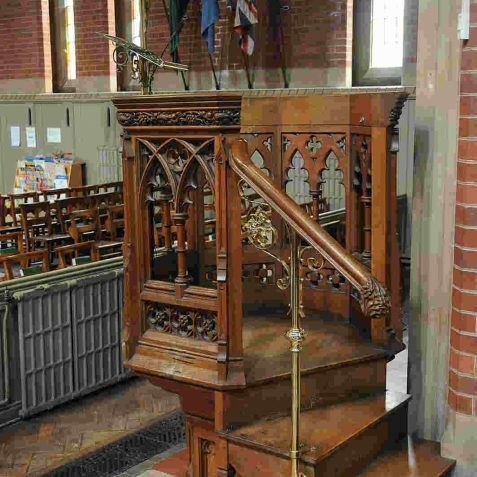 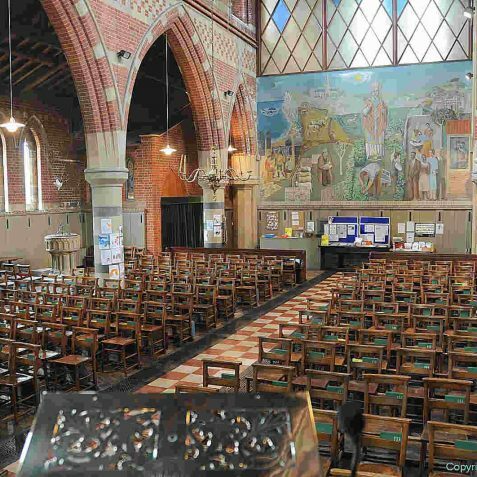 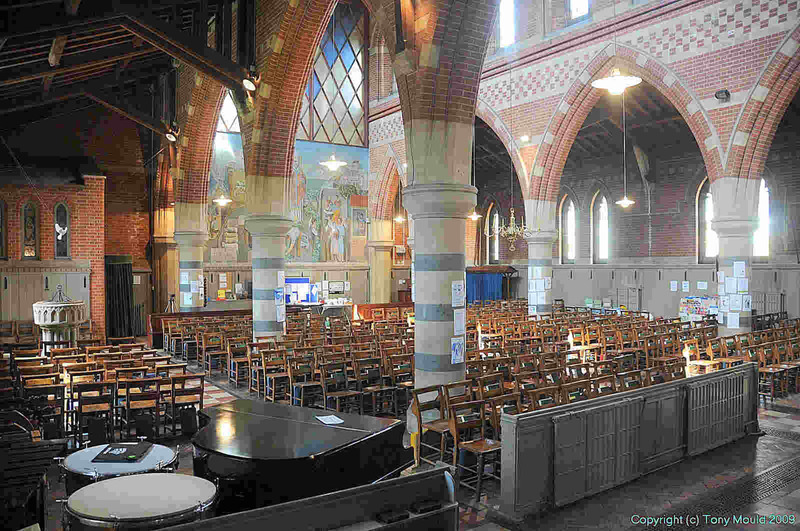 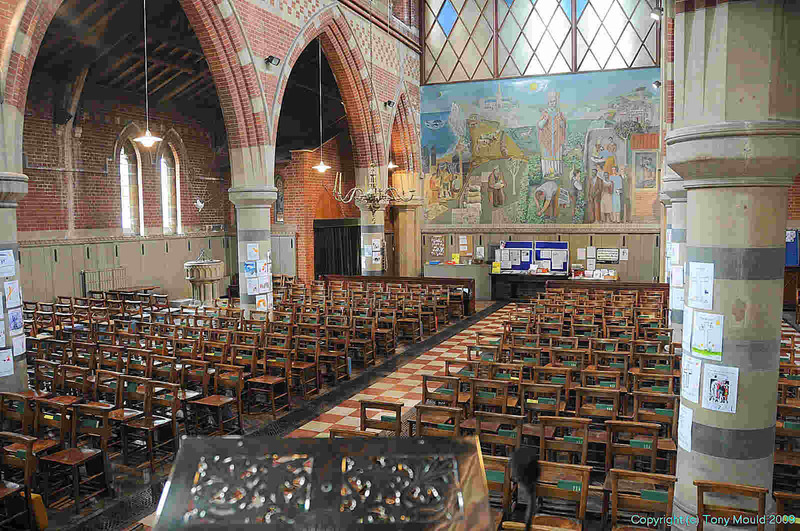 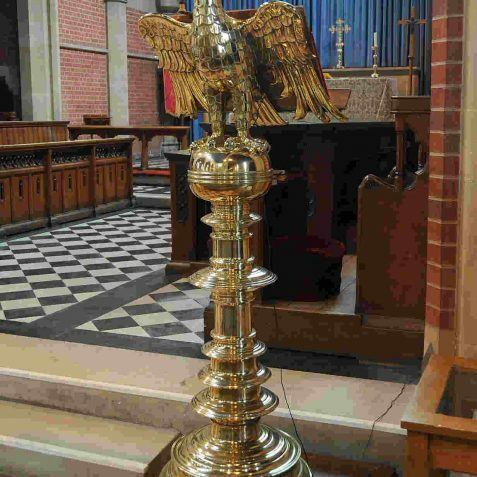 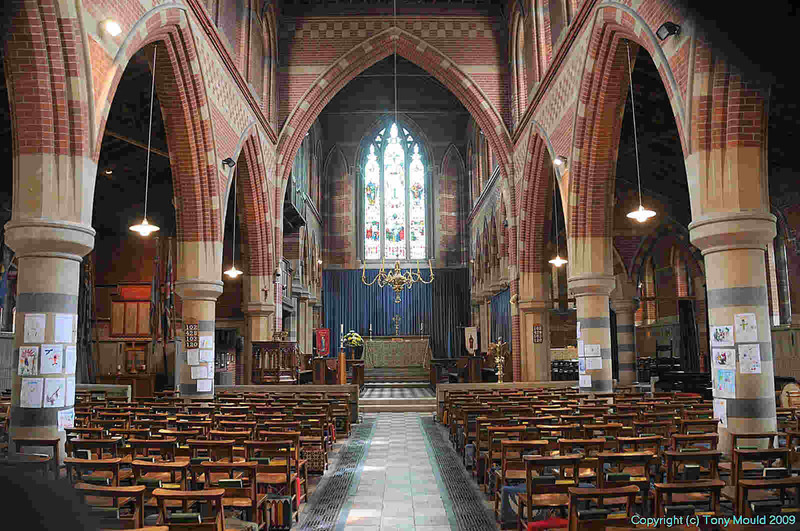 The Church and Hall are widely used by many different groups from Social Clubs to Weight Watchers to Playgroup to Brighton and Hove Silver Band.